Click Here To Download Our Free Map or see image at bottom of page. 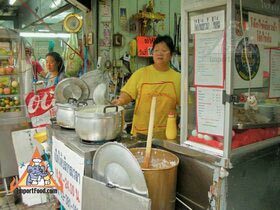 We are pleased to provide you this tour of the up-scale "Thong Lor" district. 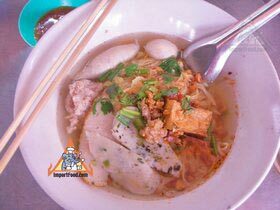 For many years Thong Lor (which means Gold Foundry) has been the hotspot for trendy nightclubs and expensive condominiums, along with many western-style restaurants. 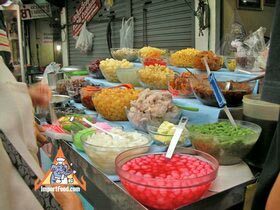 Mixed in with the flashy wealth are some popular specialty sidewalk food shops recognized for offering the best original recipes that Thailand has to offer. 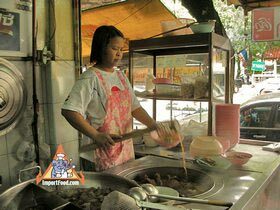 If you're in Bangkok and don't mind spending extra time finding the very best street-level cuisine, you won't be disappointed with a trip to Thong Lor. 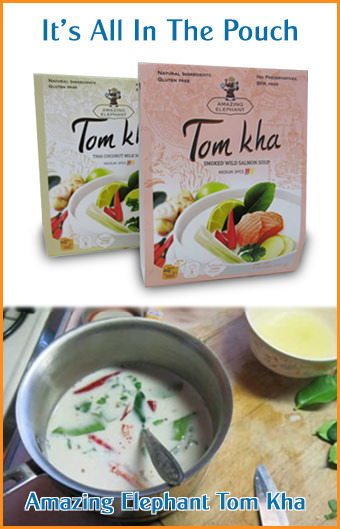 At ImportFood.com we offer not only the best Thai groceries and cookware, we also know, and are happy to share with you, where to find one of the the greatest culinary wonders of the world. 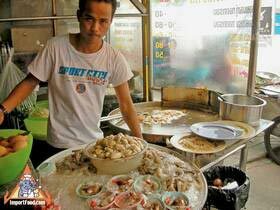 If you go to Bangkok, get immersed in some of the best local "street level" cuisine on the planet. Now that Bangkok has a convenient skytrain system (locally known as BTS), Thonglor district could not be easier to find. Simply take the BTS to Thonglo Station (E6). Everything is marked well in English so you'll have no problem using BTS. The skytrain goes straight up Sukhumvit Road. 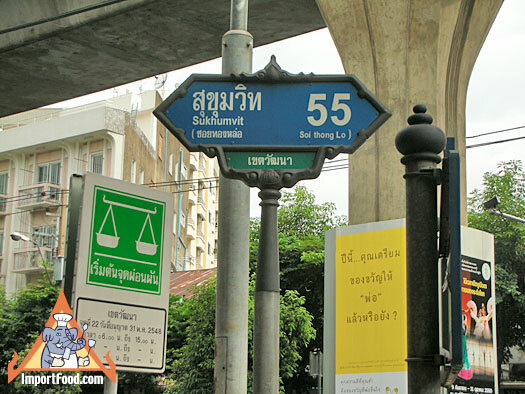 After you exit the train, on one side of the road is Soi 38, on the other side is Soi 55. 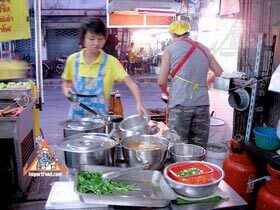 Soi 38 has three extremely tasty sidewalk restaurants next to each other. 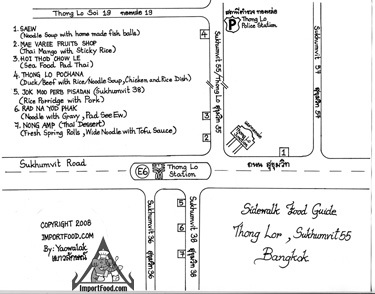 Soi 55 has three must-visit shops but they are a bit spread apart. 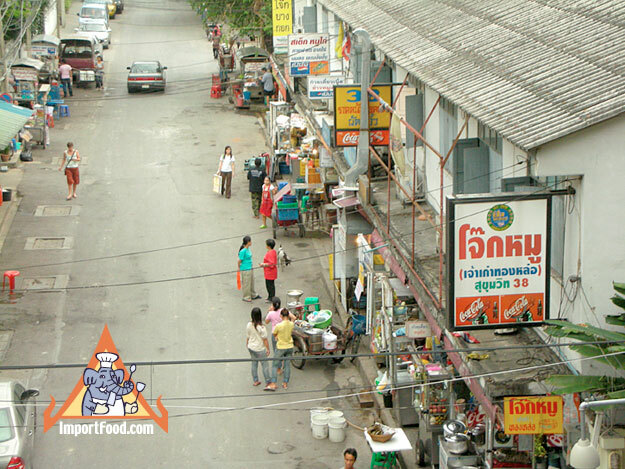 Here is a view of Soi 38 from the skytrain, all three shops we recommend are located in that building. 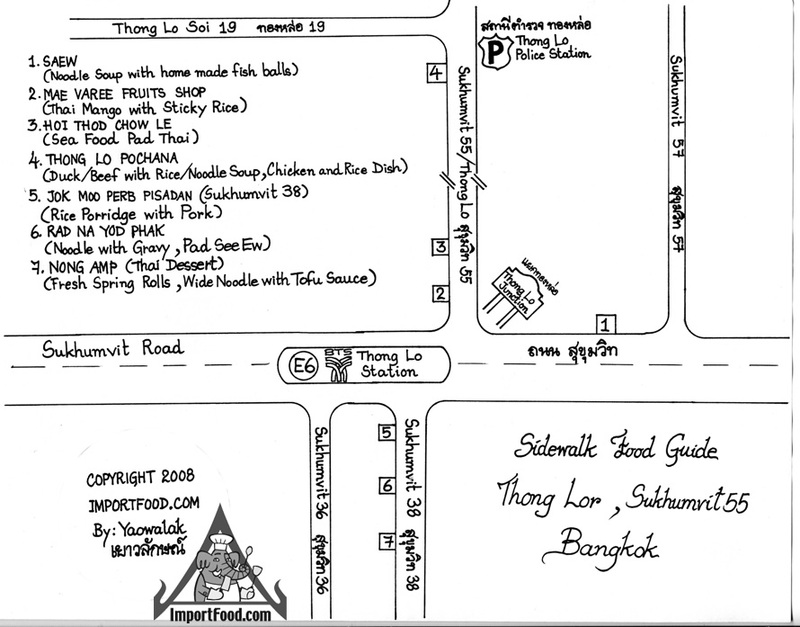 Here is a view of the entrance to Soi 55. 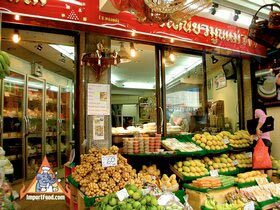 Start wherever you want but keep in mind that all of these shops are within walking distance of each other except Thonglor Pochana which is 5 minute drive down Soi Thong Lor, you can easily hire a 4 wheel open taxi "Rot Kapaw" for about $1. 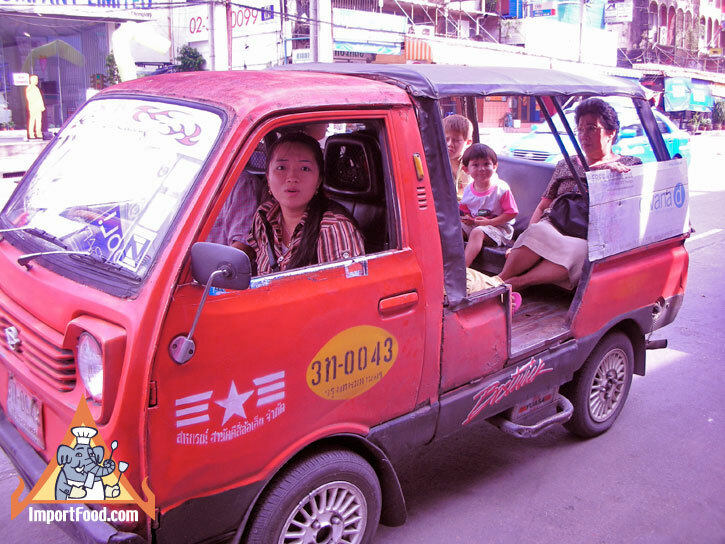 These open taxis are within eyesight anywhere you go on Soi Thong Lor. None of these shops are expensive, just $1 or $2 per serving. Eat as much as you can and enjoy!